Northview ranch is move in ready! Freshly painted with new flooring and fixtures throughout. 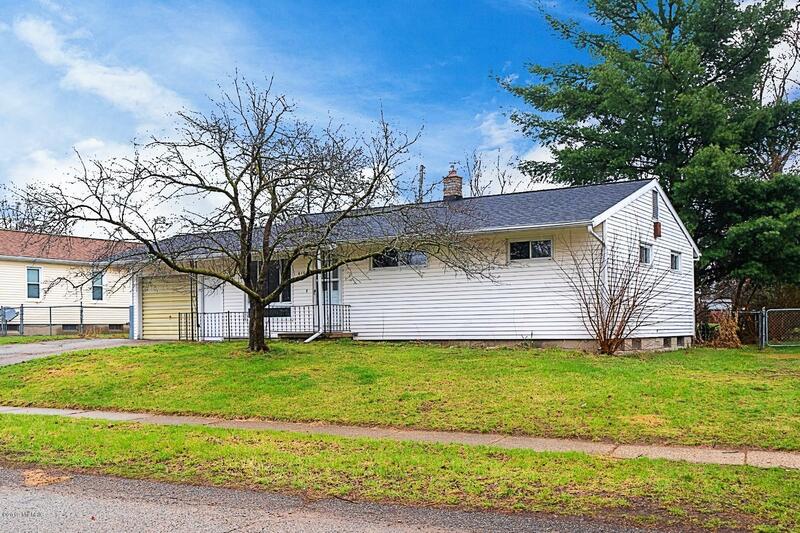 3 bedroom, 1 bath with bonus room to the back of the home which provides plenty of extra living space that could be a den, home office, or studio. From the bonus room there is a slider to a deck which looks over the fenced backyard with firepit. All 3 bedrooms are on the main level & have hardwood floors. The bath has been updated with new cabinets as well as new plumbing & electrical fixtures. Downstairs is another finished space that could be a rec room, workout room, or home theater space. There is also a shed, one stall attached garage, newer roof & furnace. Clothes washer & dryer remain. Great location in Northview Schools conveniently located close to restaurants & shopping.